TWILA news story about rww demonstration test. Avery Davidson put together a very nice story about the rww demonstration test which aired on TWILA last week. You can view the video online at youtube by clicking here. Thanks to Keith Fontenot and Kenneth LaHaye for participating in this interview. We appreciate the continuing support of the Louisiana Farm Bureau. The Hoffpauir demonstration site was planted last week. 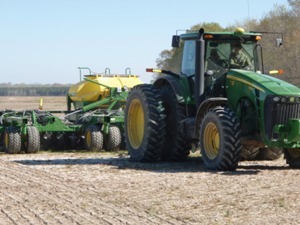 County Agent Barrett Courville sent me a few pictures of planting. At this location we will compare an untreated cut to pyrethroid, Dermacor X-100 and CruiserMaxx insecticide treatments. 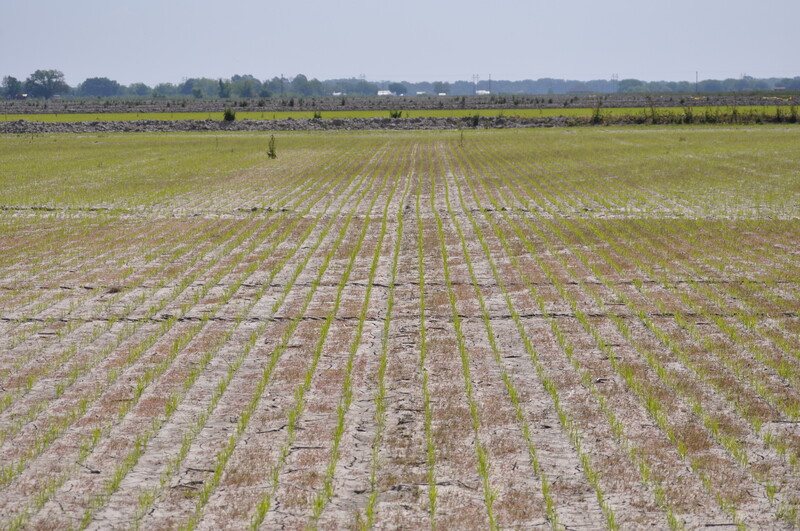 The arrangement of cuts at this site allowed us to plant multiple fields with each seed treatment. So, we will get a little more data than usual at this location. Darryl Hoffpauir riding on the drill as the untreated check is planted. Photo by Barrett Courville. 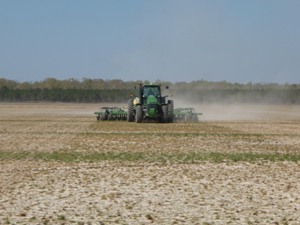 This week, we will most likely be planting three more demonstration sites, one each in the following parishes: Concordia, Jeff-Davis, and Vermilion. I’ll keep you informed as planting progresses. 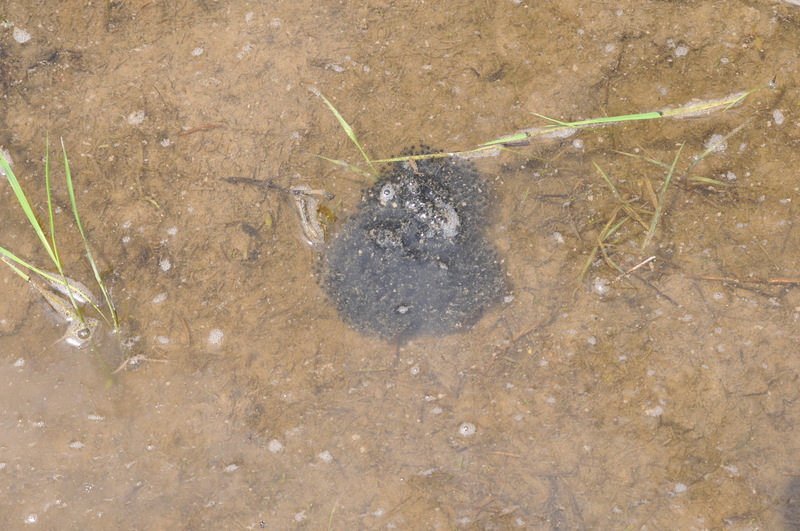 At the rest of the sites, we are waiting for the first call to report observation of plant emergence. I think this cold weather is making the plants lazy. They don’t seem to want to leave the soil. When I woke up at 4 am yesterday I wasn’t feeling too well. Things seemed to improve, so I decided to meet up with my Associate and head out to the field. That was not the best idea. Not a fun thing when the stomach flu gets you down. 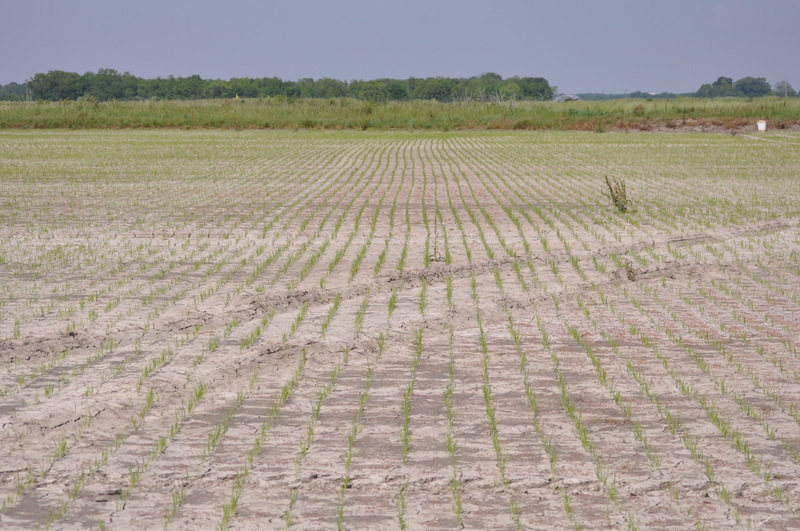 I slept in the passenger seat most of the way to Ville Platte – did a quick interview with Avery Davidson (Louisiana Farm Bureau Report), clarified plot plans with County Agent Keith Fontenot and Rice Farmer Kenneth LaHaye, and then we headed back to Baton Rouge. I slept most of the way back to Baton Rouge. For those of you that know me, if I can sleep in the middle of the day, I’m really sick. I’ve been in bed ever since. This is not a good time of year to be sick, so I’m taking this slow and hope to be back at it tomorrow. I thought you might like a quick update on what we did yesterday. Thanks to the wonders of technology, I have pictures e-mailed from my Associate and Keith Fontenot. As I mentioned Avery Davidson met us for a This Week in Louisiana Agriculture (TWILA) story about the demonstration test. Avery and I conducted a short interview at the field before I headed back to Baton Rouge. 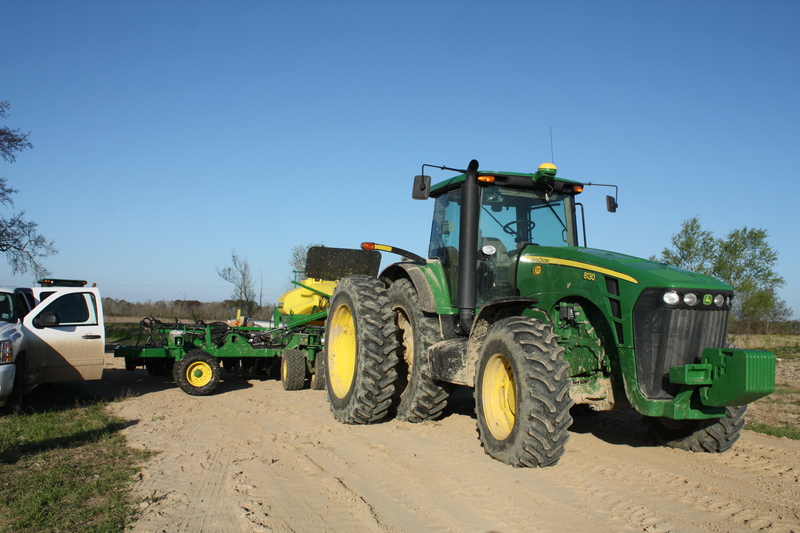 Mike Worthington (RiceTec) met us at the field to calibrate Kenneth’s new 42 ft John Deere air-assist drill. Kenneth's tractor and drill set-up (photo by Anna Meszaros). I wish I had been able to be around to watch that sucker run. It’s a memorable experience to hear them start up – it almost sounds like a plane talking off. We had some final discussions about the treatment plan and then planting began. Kenneth LaHaye, Keith Fontenot and Natalie Hummel discuss the treatment map (photo by Anna Meszaros). Unfortunately, I missed this part, but Avery was able to ride along in the tractor and film the auto-steer features. 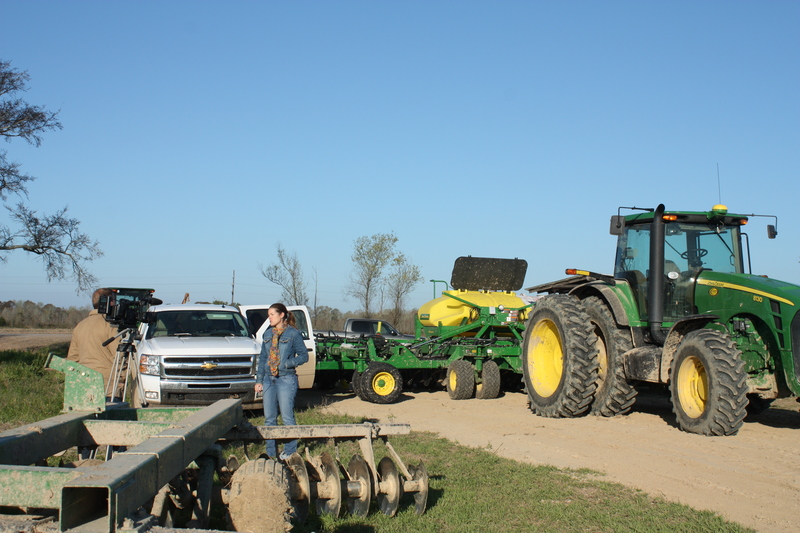 Avery Davidson was in the tractor filming Kenneth LaHaye while the demo site was planted (photo by Keith Fontenot). This equipment is incredibly accurate! 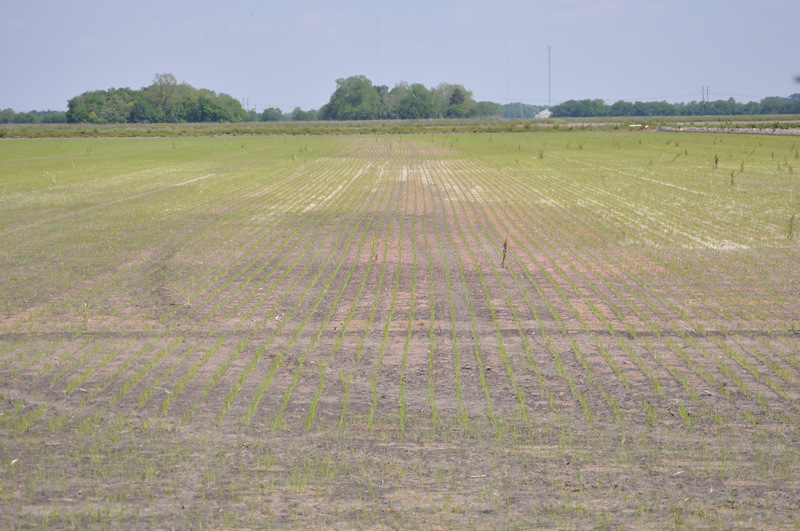 This picture captures the auto-steer features - closing the gap between two planted areas (photo by Keith Fontenot). At the LaHaye farm we are comparing untreated seed to the two seed treatments – Dermacor X-100 and CruiserMaxx. 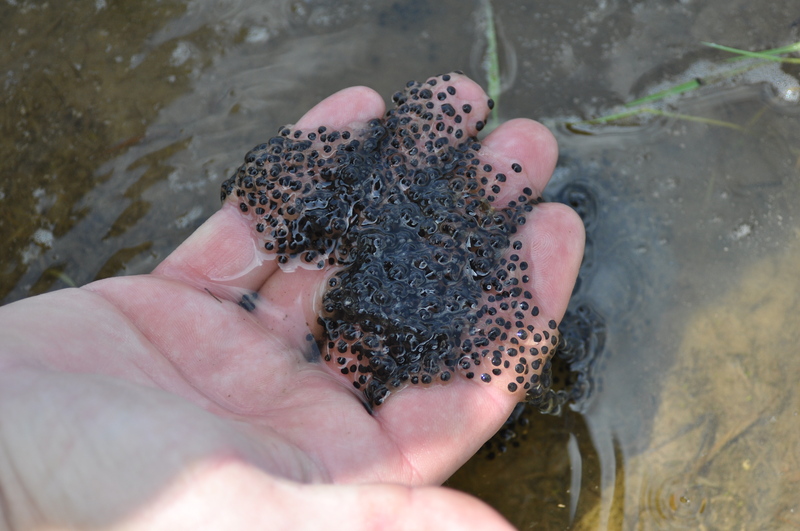 These will be compared to a pyrethroid treatment. The first application of Karate will go out with the second shot of Newpath immediately before flood. 1 week after permanent flood, we will scout for adults weevils &/or fresh feeding scars and make a decision about a second pyrethroid application. Planting went well, now we will keep an eye out for first emergence of seedlings. 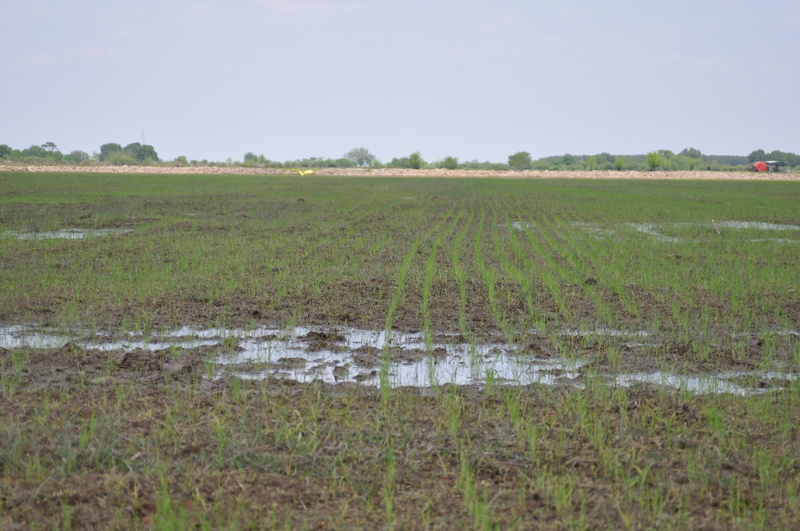 Hybrid rice was planted at a 25 pound seeding rate at this test site. This will be another nice comparison of CruiserMaxx and Dermacor X-100 at the low seeding rate. 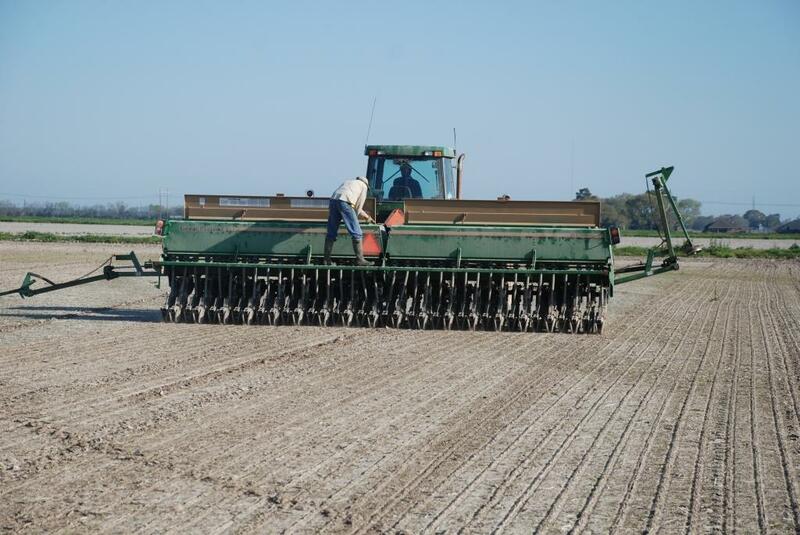 Today the Hoffpauir farm demonstration site in Acadia Parish is being planting. Ok, back to bed for me.